Limited Time Offer - No Coupon NecessaryReceive a FREE Teddy bear when you order $450 or more of any Charlie Bears at The Toy Shoppe. 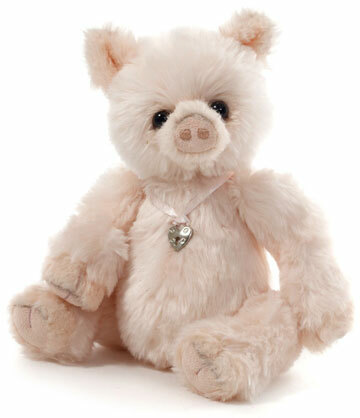 Choose from five different bears: Margot (57130), Nellie (57135), Wyatt (57161), Agatha (57088) or Cecil (57103). your choice of FREE bear: WYATT, MARGOT, NELLIE, CECIL or AGATHA. Not valid on prior orders. Cannot be returned or exchanged for monetary value. May not be combined with other offers. Subject to change. Other restrictions may apply. Call us for complete details. William and Charlotte Morris (Charlie for short) have always loved Teddy bears. In fact, they met over a bear that William was buying for his mother! In so many wonderful ways their lives have intertwined and overlapped with a bear somewhere in the middle. It seems as though they were simply destined to share their love of bears with others. 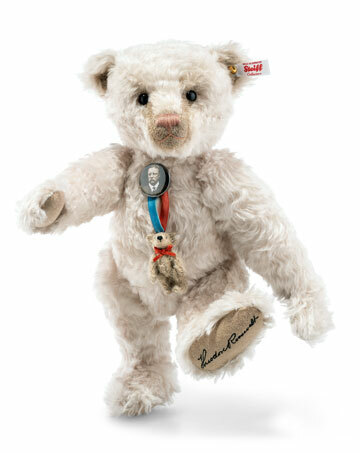 Since Charlie Bears launched in 2005, their family of collectors has grown to almost every corner of the world. Charlie Bears is based in Cornwall in the United Kingdom (UK) where William and Charlie still make sure that every little bear is uniquely designed and lovingly handmade. Charlie and William quickly won the hearts of collectors with their charming Teddies. 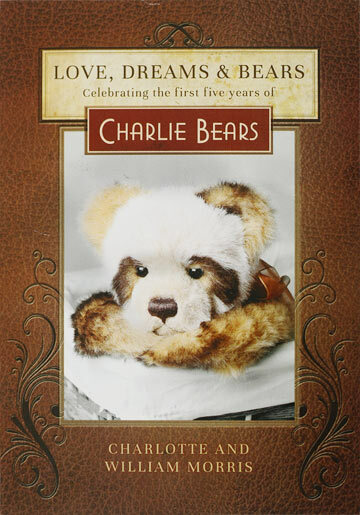 Each and every Charlie Bears creation is handmade with the greatest attention to detail. From the cutting of the plush fabric to the stitching of each nose, these soft and furry companions are lovingly created by skilled artists. The craftsmanship behind Charlie Bears is clearly evident, but the most captivating aspect of each bear is its warm and engaging face. It's easy to see the hours spent on each one, getting the expression just right! 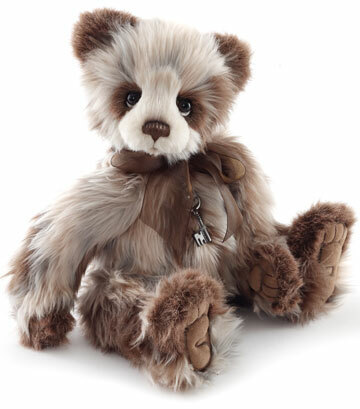 Every little creations from Charlie Bears has been lovingly hand made with the greatest attention to detail. What all Charlie Bears fans understand - and what keeps them coming back - is that as well as being beautifully and individually handmade, each bear really does have its own wonderful character and unique identity. They most definitely are "Bears with Personalities"! - from the Charlie Bears biographical book Love, Dreams & Bears by Charlotte and William Morris. Available at The Toy Shoppe. From dragons to fairies, history is full of tales of mysterious creatures that roam our lands. As children we sat in wide-eyed wonder as we were read these age-old stories from which we learnt valuable lessons. They quickly became our bedtime favourites. Our Fables series has been inspired by these wonderful tales and the characters that featured within the pages of our favorite books. We've added a paw-ful of folklore characters to complete our collection of these charming and quaint reminders of a bygone age. As you browse through the following pages you will see characters and bears which for me, and I hope you too, bring back memories of exciting times when all things were possible. After all, who didn't put their tooth under their pillow in anticipation of the tooth fairy's arrival? So the time has now arrived to reveal this year's collection and introduce you to the colorful and wonderous new characters that form our Folklores & Fables series. With so many to look at I hope you have with you a huge cup of tea and your favourite biscuits as it could take some time! 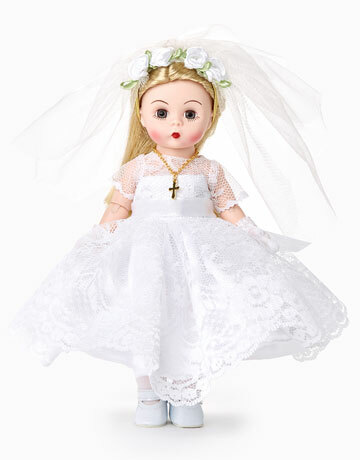 The Toy Shoppe is your best Charlie Bears shop in the USA. Our selection is huge. Looking for a particular Charlie Bear? Call us today! Every year Charlie, co-founder of Charlie Bears, chooses a mohair Teddy bear that best represents her and the new collection. The choice for 2019 is an elegant and graceful treat! 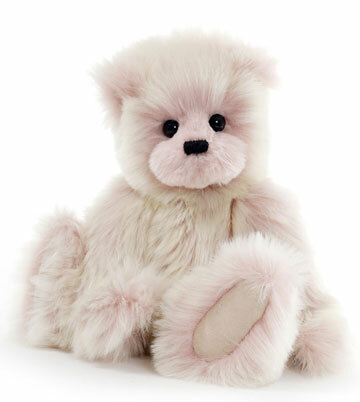 This beautiful bear is made from handmade from the finest cream and pink mohair. Her ultrasuede 'tickly toe' paw pads. There is so much more to tell. 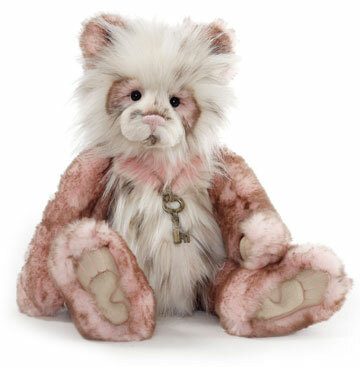 We are certain that you will fall in love with the Charlie Mohair Year Bear 2019... just like Charlie did! 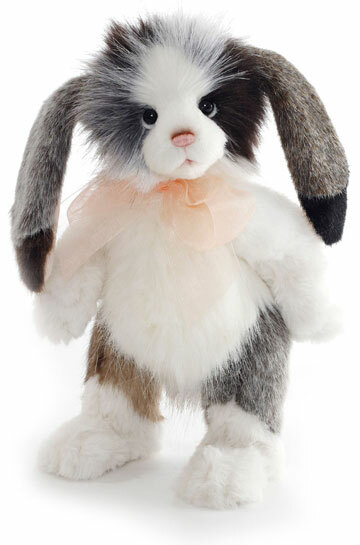 The Toy Shoppe is the largest Charlie Bears stockist in the USA and your best shop to buy Charlie Bears. Our selection is enormous and includes their traditional bears, limited editions, special editions, Bigger Bear Series, Bearhouse Bears, Bear Library editions, SECRET COLLECTION, MiniMos, Isabelle Collections, Year Bears, Birthday Bears, toys and much more! 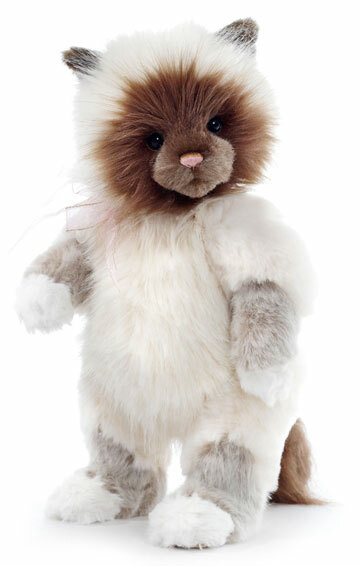 What Is A "MiniMo" By Charlie Bears? MiniMos are a collection of small Teddy bears, mice, and other animals designed by Teddy bear artist Isabelle Lee. Each of these wonderful creations is sized to fit perfectly in your hands. Even though they are so delightfully petite, each is five-way jointed for fun posing and to to share lots of bear hugs. A miniMo by Charlie Bears is a true gem. Many are made of mohair or other fine materials and delicately painted by hand with subtle, rich detailing that brings out the character. Each Teddy bear and animal is crafted from the finest plush or mohair and arrives in his very own collector bag. The Teddy bear designs by Isabelle Lee are exceptional and very appealing. Considering the quality of the design and the extensive amount of handwork required to create each Charlie Bear, these adorable teddy bears are extremely affordable. 1. Charlie Bears Math: Plush PLUS Mohair EQUALS Plumo? Created from an exclusive combination of rich plush and the finest mohair, Charlie Bears' Plumo Bears are extra sumptuous and highly coveted! 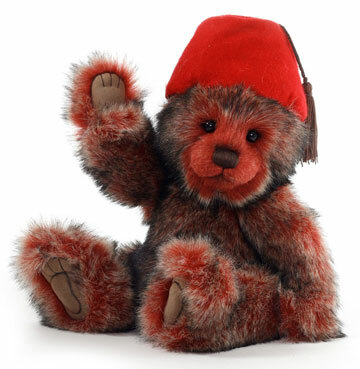 Many Plumo Teddy bears feature delightful mohair accents on their muzzles and inner ears. It is a wonderful combination of materials that makes your Charlie Bear even more special! 2. Do Charlie Bears Have Toes? Tickly Toes refers to the sculpted paw pads found on many Charlie bears. It is sometimes referred to by aficionados as trapunto (a method of quilting that is also called stuffed technique). The molding, done entirely by hand, truly enhances the appeal of your Teddy bear as you hold him and hug him. This is yet another important feature from the designers at Charlie Bears. Tickly Toes adds a whole new dimension to the personality and quality of your Charlie Bear! 3. Do Charlie Bears Have Stitched Noses? Yes, you bet they do! Adding to Charlie Bears' endearing quality, keen attention to detail is evident in each Teddy's handsome, hand-stitched nose. This traditional technique is yet another demanding details from the designers at Charlie Bears. Airbrushed accents provide extra depth and character to their wonderful faces! 4. Is Charlie Bears More Than Teddy Bears? The wonderful thing about Teddy bears is how many ways they can be a part to your life. We are all familiar with the traditional Teddy bear with its lovable 'hug-a-bility", but a smaller Teddy bear can make a great Keyring and bring a smile to your face wherever you are. Or if you really love Teddy bears, why not replace those old dusty bookends with Teddy bears specially designed and weighted for the same job... but much more fun? And for more play fun, Charlie bears makes soft plush puppets with the same appealing features as their traditional Teddy bears! The innovative artistry at Charlie Bears is constantly looking for new ways to add our love of Teddy bears into our lives! The even created Teddy bears to hold your iPad or tablet device for you. Of course, they also create many other animal friends like mice, rabbits, dogs, guinea pigs and much more! 5. Did Charlie Bear Founders Charlotte & William Morris Really Meet Because Of A Teddy Bear? It may sound like a storybook tale, but it is true. Charlotte worked at a store selling Teddy bears and William came to the shop one day and the rest is history. William and Charlotte still believe that the three bears he bought for his mother that year from Charlotte were actually bought so the two of them could find each other. It just proves that Teddy bears are filled with love! Charlie Bears have a “ love me look ” that makes you want to pick them up and hug them! Their fresh and innovative Teddy bear design combined with their high standards of production are visible in each creation. 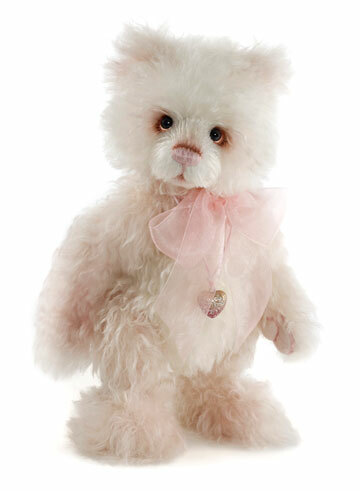 Yet, even with all the handwork involved in producing them, Charlie Bears are very affordable and within reach of every Teddy bear lover or Teddy bear collector. 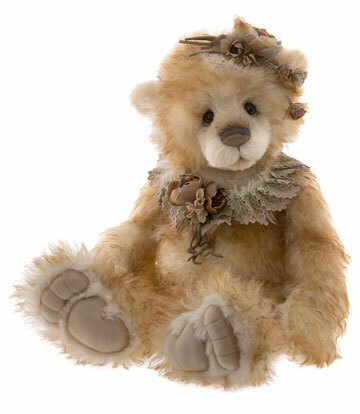 Appealing, well-crafted and affordable - that's why Charlie Bears are so popular around the world!